This beautiful Psalm begins with a declaration that God is OUR Refuge and Strength, ALWAYS READY to help in times of trouble. Well, as we look at the world around us, these times definitely can be categorized as times of trouble. Issues surrounding our borders; the world and national economies are strained; the Middle East is at war and thousands of Christians are being persecuted around the world. How are things in your life? When we come into times of trouble, usually our first reaction is to try to fix it. We think, worry, devise plans and do whatever we can to avoid the problem or fix it as quickly as possible. We try to come up with OUR best plan and execute it in the hopes that the troubles will be resolved. 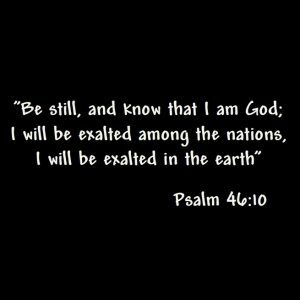 This psalm provides an excellent process for us to engage in during times like this. Let’s focus on the fact that, regardless of the seas roaring and mountains trembling, the Lord of Heaven’s armies is with us! He cannot be chased away by any troubles. He is never worried or overwhelmed. This is stated twice for confirmation from the Lord! 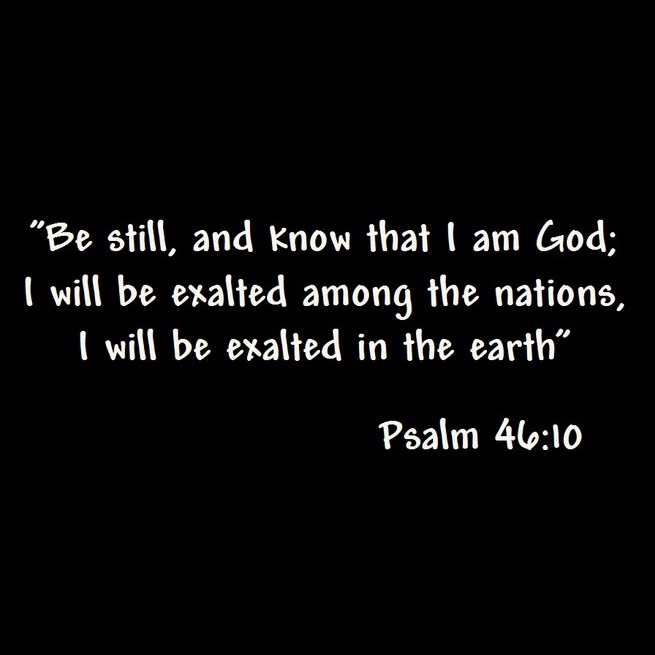 One KEY to allowing God to intervene and MOVE on our behalf is to BE STILL…and KNOW…that I am God! But what does this mean? “Be Still” means to cause to fall; let go. An important word here is “cause”. This means that you have to DELIBERATELY act let go of something. In other words, to get your hands off of what you are unable to change and let God deal with it His way in His time frame! In addition, the psalm says that “there is a river running through God’s City that brings it JOY…! Now this river is nothing other than the Holy Spirit flowing through the church (The New Jerusalem). He flows through us; troubles don’t stop God’s Spirit from flowing. And, He brings JOY! Joy in the midst of troubles. This is the telltale way to confirm that we’ve deliberately taken our hands off our situation and are trusting God with everything. We have JOY! This is a joy that is NOT dependent upon circumstances, but on the Spirit of God flowing through His Church! Here is the promise of the closing scene; God says, “I will be honored by every nation; I will be honored throughout the world.” This means that God will use all the chaos to bring about His will and plans. He will be honored.